As someone who loves Christmas and who is a sucker for nail arts that contain glitter, this is my favourite collection ever. 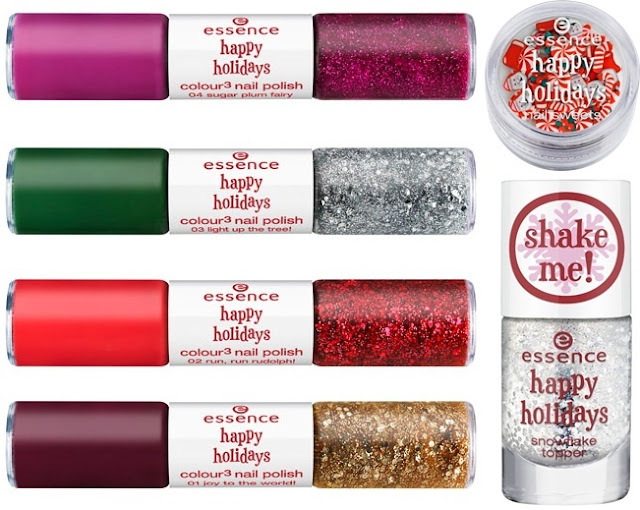 Even though the Happy Holiday collection also features some really pretty eye shadows (and other make-up), I totally fell for the snowflake topper and the "nail sweets". The colour3 nail polishes are a lovely idea as well and the possibilities for Christmas manicures seem endless with these! 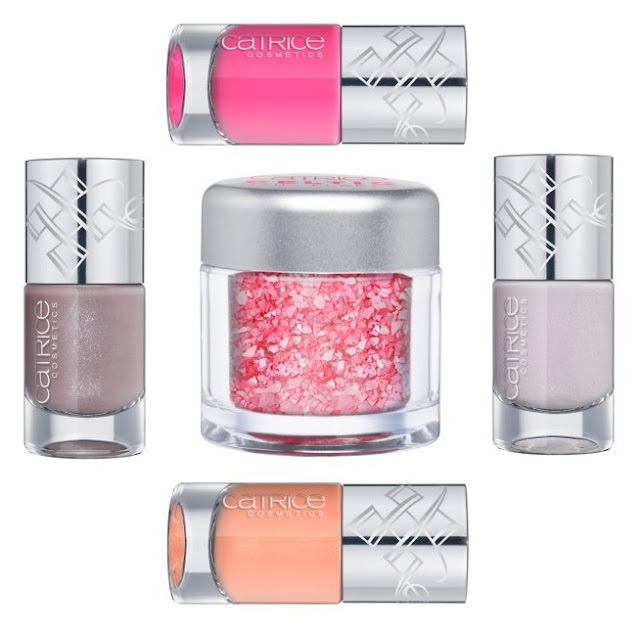 A more pastel winter can be expected with this Catrice collection. I particularly like the lavender shades but the Celtic nail flakes for a 3D manicure must be so fun as well! This collection is full of pretty amazing stuff, it's worth taking a look at some reviews on other beauty blogs! I decided to focus on the nail polishes and the "effect nails" which are super colourful and glittery. From these I would love to try the "galaxy flakes" but I'm pretty sure the other effect nail polishes look pretty cool as well. 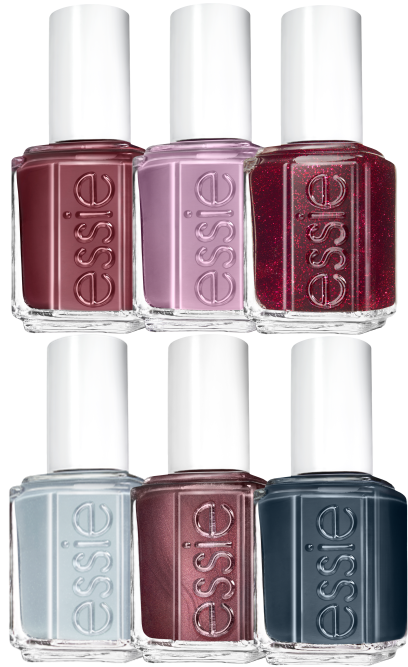 For this winter, Essie comes up with 3 super amazing bordeaux shades (the one with the glitter for me, please) but also lavender and blue seem to be important colours this season. From top left to down right these are called shearling darling, warm and toasty turtleneck, toggle to the top, parka perfect, sable collar and mind your mittens. And now ladies it's your turn to choose! Which collection or which nail polish is your favourite? 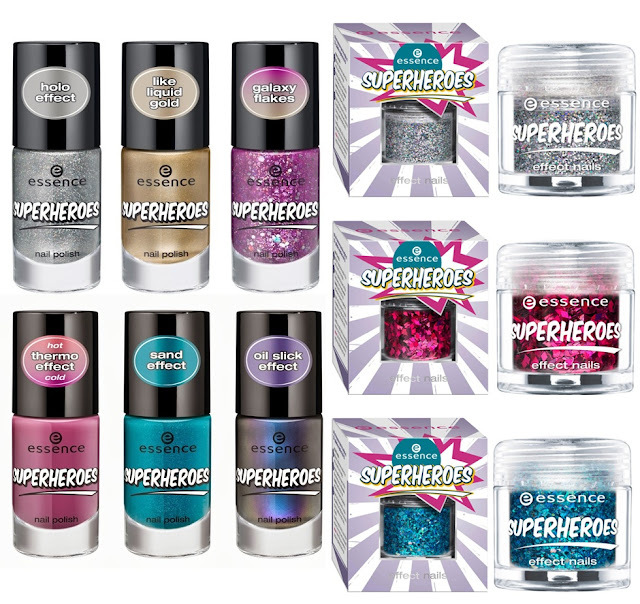 Are there any other nail polish limited editions that you want to share with us? How fun! Essie nailpolish is my favorite!! I LOVE Essie polishes and those shades are divine! I'm currently into pastel, so Catrice would be my choice. amazing...i want to find and try them...they look so fab.. I love the Essie collection! Omigosh Carmen, you just destroyed my resolve of not buying myself any more nail polishes! All these look just incredible! Momentan bin ich so ein großer Catrice Fan! These nail polishes and glitters are so cool! Would be so fun to put them on! I like the Essie ones which are perfect for winter but I also like a touch of sparkle at Christmas too!